Students stay with carefully selected families who live near the school. Each family has been thoroughly vetted and many have worked with us for several years. For the duration of the stay the students are treated as ‘one of the family’ and therefore have ample opportunity to improve their English. 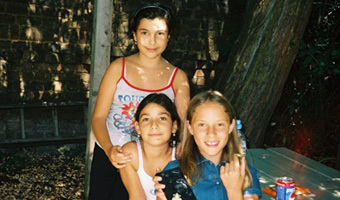 We only place students aged 11 and over with host families. Only one student of each nationality is placed with each family unless we receive a special request to the contrary. Families provide breakfast and dinner every day and a packed lunch from Monday to Saturday and all meals on Sunday. Students spend every evening (unless they have a school activity) and all Sunday with their host family. All families are close to the school either within walking distance or a short bus or underground ride. Students normally arrive and leave on Sunday. Extra days are charged pro rata. Why stay with a host family? Staying with an English family is one of the best ways to learn English and to practice speaking in everyday situations. It also gives the student an opportunity to learn about English life and culture. Many of our students become close friends with their host families and keep in contact – sometimes for many years! Accommodation with host families is very limited and we recommend booking early. Students staying with our host families will only need money to pay for travel to and from school if necessary and then money to buy drinks, snacks, and postcards etc. We recommend £ 8 -10 per day, but parents should allow for more if students want to buy presents, clothes etc. The English summer is unpredictable so please make sure students bring some warm clothes and a waterproof jacket as well as summer clothes. Students should also bring appropriate clothing for sporting activities. If they plan to play tennis they should bring their tennis racket. In an emergency parents can contact the school 24 hours a day on +44 7786 925 295 or on +44 207 622 2485. If you wish to find accommodation in hotels or rent a house or flat please contact us for further information.